Ahead of a busy festival season, Jaguar Skills brings his set to Dalston’s The Nest for a rare London appearance. 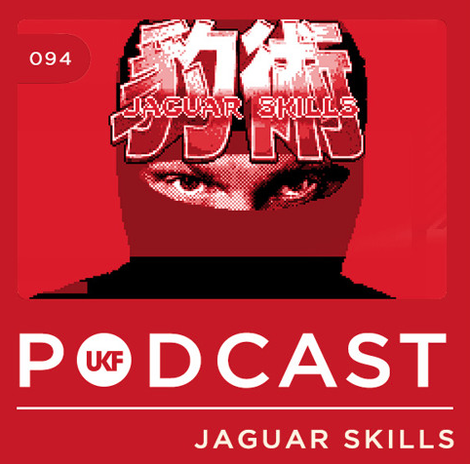 With his anonymity still intact, Jaguar Skills is apparently an impressive presence on the club and festival circuit, delighting ravers with his technical sets and knowledge of D&B, hip-hop and everything in between. The upcoming appearance at The Nest is the first since his sold-out show at XOYO last year, and is an opportunity to see possibly one of the world’s finest turntablists in his element. After years of developing his talents, 2016 saw Jaguar Skills evolve into an established producer. ‘Reload That’ from his Viper Recordings’ ‘Ready To Rock’ EP and the follow up ‘Stop Drop Bounce’ were supported by SBTV and RWD online and DJ Target and Mistajam at radio. ‘Reload That’ went on to hit the B-List at Radio 1Xtra, and was later released at ‘Reload That: Reloaded, with guest vocals from Example, Tempa T and Big Narstie alongside Milli Major’s original contribution. Recent releases include ‘Fly’ featuring Wide Awake, a track Red Bull Music descried as “a sky-scraping club anthem” alongside support from tmusic publications including Indie Shuffle and Guardian Guide, and ‘Shadow King’, a hard-hitting D&B collab with Futurebound.